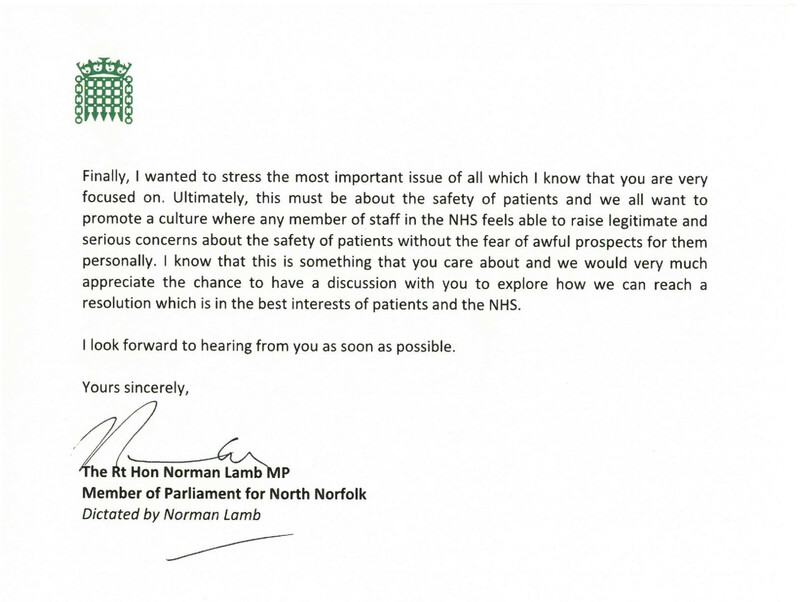 The Rt Hon Norman Lamb invites the Rt Hon Jeremy Hunt to a meeting with Dr Day and his lawyer. with Dr Day and his lawyer. Whistleblowing junior doctor, Dr Chris Day and his lawyer Tim Johnson met with the Liberal Democrat MP, the Rt Hon Norman Lamb in late November 2017 to discuss Dr Day’s whistleblowing case. Mr Lamb is a former lawyer and has been a health minister serving under Jeremy Hunt’s leadership in the coalition Government. 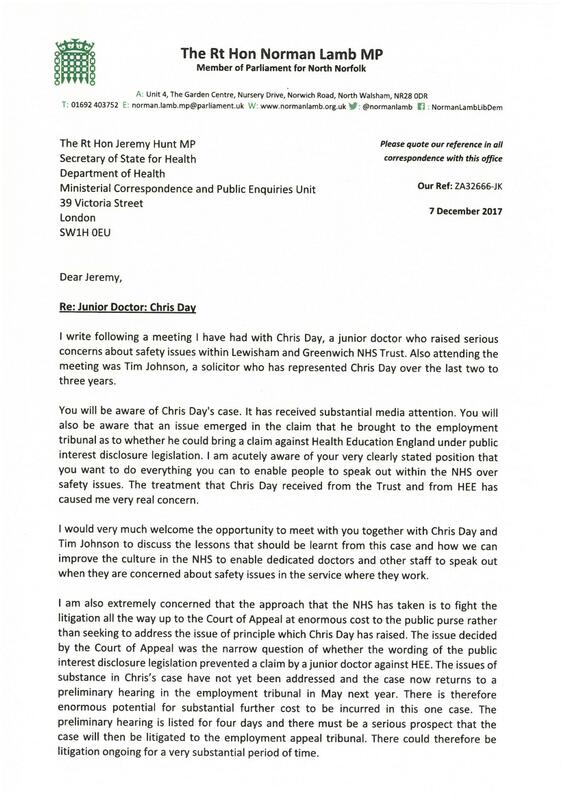 On 2 December, Mr Lamb sent the following letter to Secretary of State for Health about Dr Day. Mr Lamb has not yet received a reply. 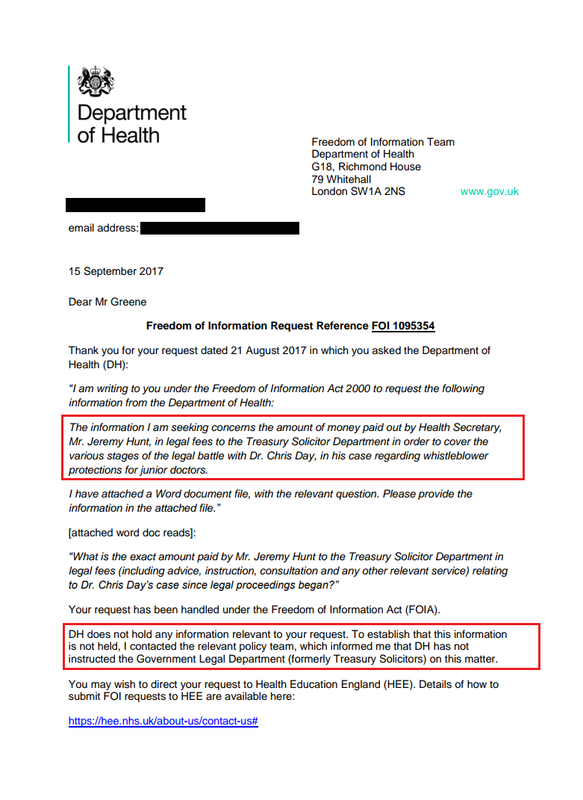 Several months ago, the Department of Health was asked by a journalist about Jeremy Hunt’s instruction of the Treasury Solicitor Department in Dr Day’s case. 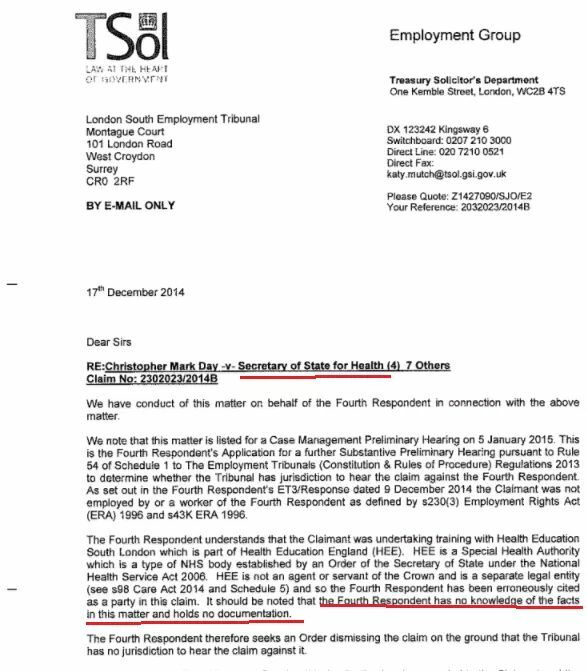 They proceeded to deny that Mr Hunt had instructed the Treasury Solicitor Department in the case. From Mr Hunt’s legal papers below it is clear that the statements provided to the journalist from the Department of Health were not true. In June 2017, Dr Day asked Mr Hunt about his case and junior doctors being argued out of whistleblowing protection during a question and answer session at the NHS Confederation conference.